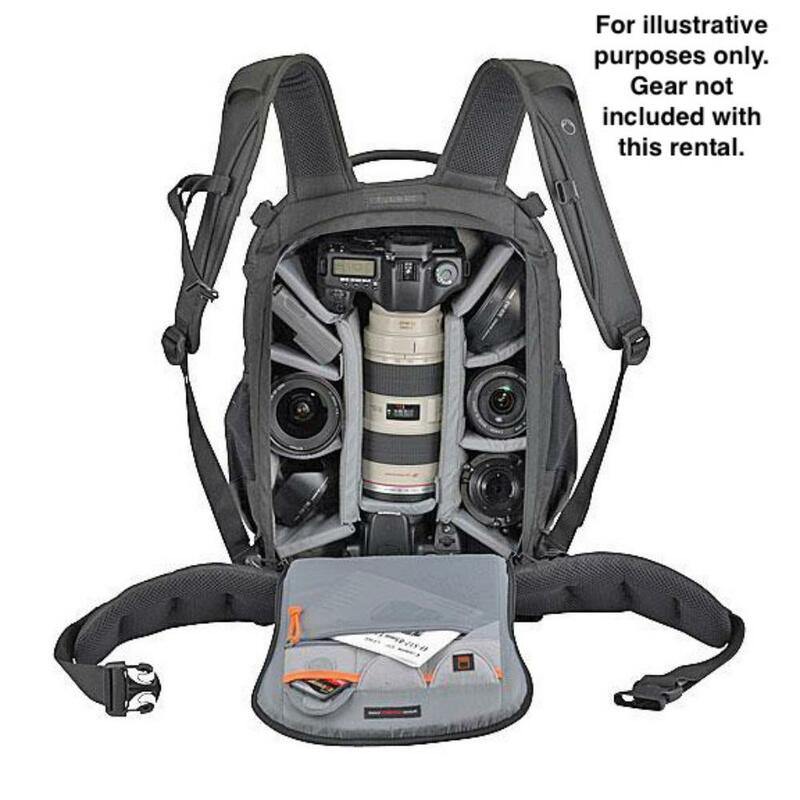 The Lowepro Flipside 400 AW Backpack is a mid-range camera bag suitable for 1 DSLR with attached grip, up to a 300mm length telephoto lens, plus an additional 4-6 smaller lenses. 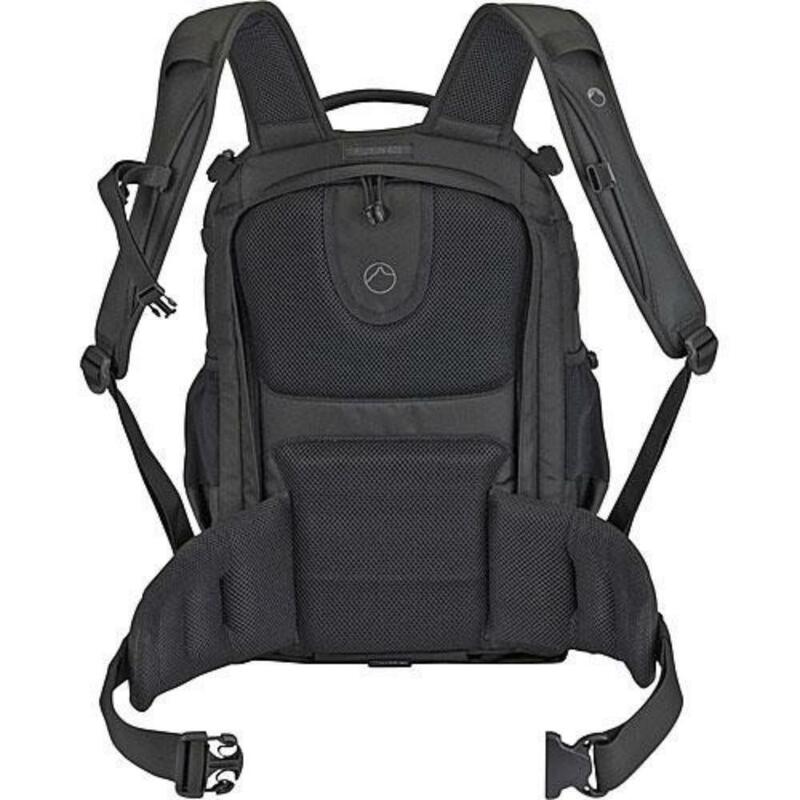 It has a zippered accessory pouch that is removable, a waist belt, front pouch, memory card pockets, and front straps for carrying a tripod. A back compartment allows safe access to your gear. This backpack is ideal for long weekend trips or day trips that require a lot of gear. 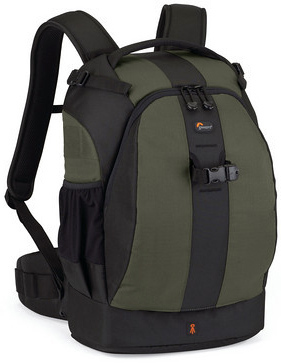 If you're looking for a backpack in the Flipside line that is a little bit smaller, please see the Lowepro Flipside 300 Backpack. • Interior Dimensions: 10.6 x 5.9 x 16.7"
• Exterior Dimensions: 11.9 x 10 x 18.1"